A House with all the elements... next door to a park, playground, shops, tennis courts and so close to the lake and beach. With 4 bedrooms it comfortably sleeps 14 people with large indoor entertaining areas and a dining set for 12-14. Avoca sands is a family beach house with 3 full bathrooms, 4 showers, 4 bedrooms, lounge, dinning, drive in garage and separate rumpus with rear and front balconies. There is also a large enclosed backyard. - Full kitchen with all cooking requirements. - In the Kitchen you'll find the necessary appliances and cooking utensils, for all your self-catering needs. - Guests can also make full use of the fridge/freezer, microwave, washing machine, iron and ironing board. - BBQ in the park next door with the tennis courts. - Balcony with water views and outdoor setting. - There are four bedrooms. Linen. Please note that there is a doona and pillow on each bed only. You will need to bring two sheets, pillow case, towel and bath mat. I can provide a linen pack for $15 per person. Tennis courts next to the house. BBQ in the park next to the tennis courts. 2 Tennis courts right next door WITH lights. Large sandy area to play sport and dig! 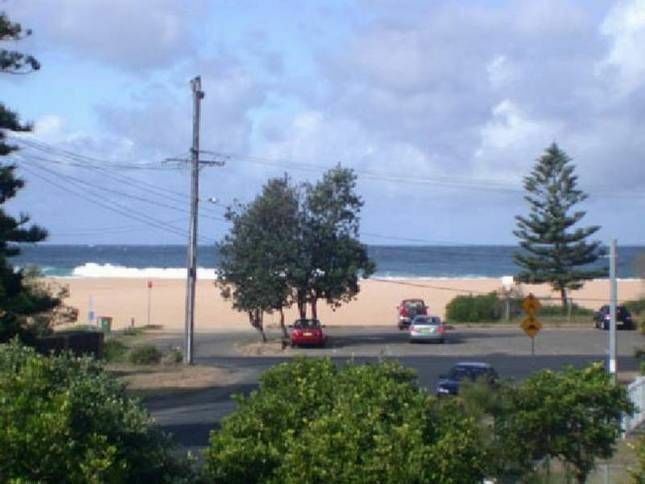 Avoca Beach is a Popular holiday resort and surfing destination on the Central Coast. Located 95 km north of Sydney via the Newcastle Freeway. In recent times the Avoca Beach area has become a popular holiday retreat for the wealthy residents of Sydney's North Shore. Its wooded hills and quietness (it is on a road which goes nowhere) is seen as ideal for family holidays and outings where the emphasis is on beach activities. Avoca Beach is a lengthy, pleasant and popular beach enclosed at either end by rocky headlands. It is considered a major surfing beach. The surf at the northern end is considered to be for the more experienced and the southern end boast a safer swimming area for children and inexperienced swimmers. There is a surf lifesaving club with multiple cafes backing onto the beach. The beach is also ideal for fishing and its length makes it great for beach walking and exercise. We thoroughly enjoyed our stay at Avoca Sands. The house is spacious, comfortable, clean, and close to both the shops and beach. Highly recommended for a large group or family retreat. Enjoyed everything about this property. Great place by the beach, Owner very polite and great service. 5 star. Fantastic accommodation for a large group! Our group had a fantastic time staying at Avoca Sands Beach Lodge. The accommodation itself was clean, spacious and very comfortable. Close proximity to the beach and local restaurants. We will definitely be back! We loved our stay, the house is surprisingly huge and has everything you need. The kitchen and bathrooms are ultra modern which was a very nice surprise. Thanks Sandy. This is a great, quiet place if you want to get away for the weekend or a week. Easy access to the beach, shops, and local park. Very well situated. The property itself was clean and tidy, heaps of room to move about and everything catered for. Would highly recommend this property to anyone who wants to use it. Awesome - thanks Sandy! !